Tana has impeccable ground manners. She stands well to be bathed, for the farrier, and to be groomed and saddled. 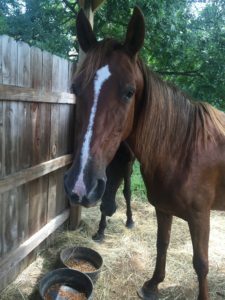 Tana seems to have likely been an ex-show horse as she is very forward and feels her job is to move out as soon as you are on her. Tana loads well in the trailer and has been hauled to local saddle club shows. The show atmosphere doesn’t phase her; however, as stated before she moves out quickly and needs someone to spend time with her letting her know a calm walk is acceptable. 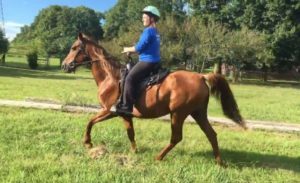 We feel certain that she would be intermediate rider ready, with consistent saddle time from an experienced rider or trainer.